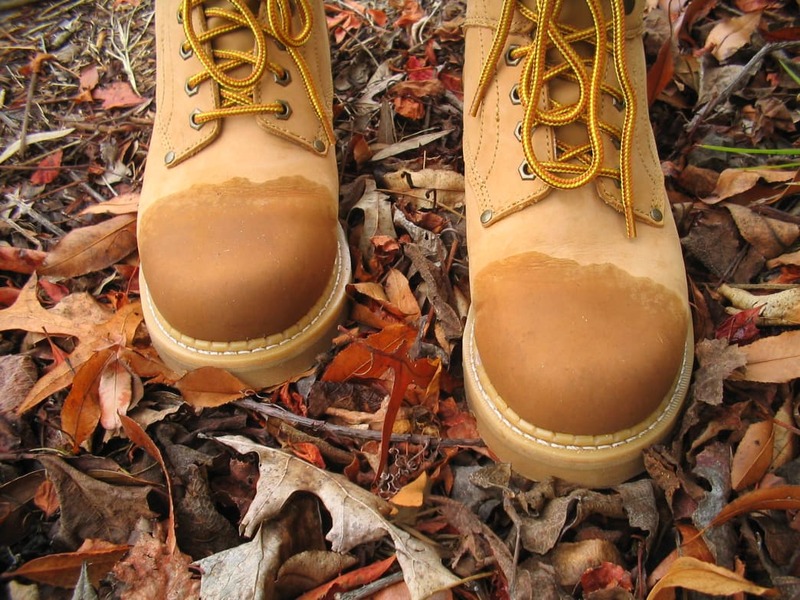 If you’re gearing up for a fall hike, the most important piece of gear you can buy is a good pair of shoes or boots. If you suffer blisters or a twisted ankle, it can ruin a day hike or wreck a backcountry trip. On Alabama trails, you’ll likely tackle uneven terrain strewn with rocks and roots, and you need sturdy footwear to protect your feet and provide plenty of support and traction. When shopping for any type of outdoor gear, it’s easy to get overwhelmed by the many choices available and the myriad technologies that manufacturers tout. With shoes and boots, it’s no different. To steer you put you on the right path, we’ve highlighted seven key points to consider as you shop for your next pair of hiking footwear. Gear can be expensive, but it’s critical to invest in high-quality shoes or boots. If you go with something cheap, it’s more likely that seams or fabrics will leak, rip, or tear, and the outsole might wear down quickly or delaminate. Also, bargain boots sometimes don’t live up to their claims of being waterproof. 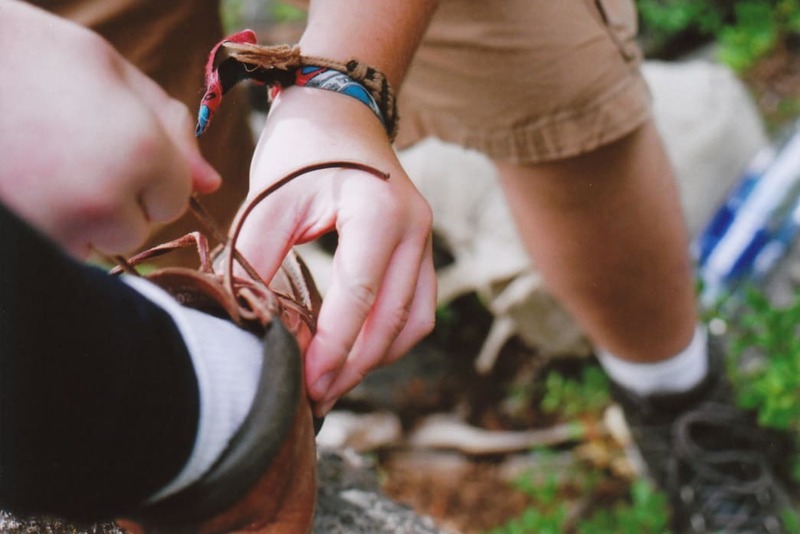 You’re best bet is to buy the type of top-notch footwear found at specialty outdoor stores and footwear stores. If you buy shoes or boots online, be sure that you know how different brands fit your feet. Also, shop online well in advance of a trip so you’ll have time to swap out footwear that doesn’t fit. If you plan to trek in the rain or cross lots of streams in cool or cold conditions, consider buying waterproof shoes. But, remember that waterproof shoes can feel miserable when it’s warm and humid in Alabama. A waterproof membrane will trap warm air and moisture around your feet, which can cause blisters and break down the skin. Also, in warm, dry areas, a waterproof shoe will make your feet hotter. So, think about the conditions you’ll face for the majority of your hiking. 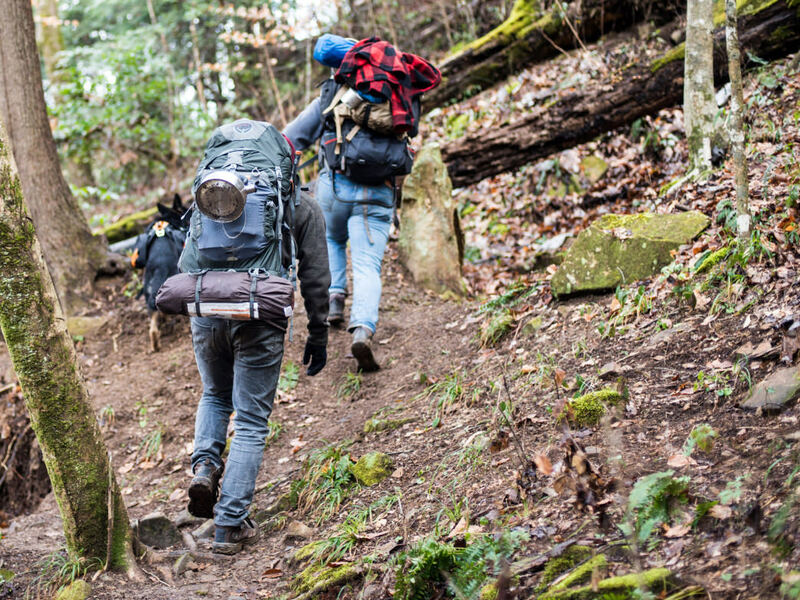 If you carry a daypack or a load of 30 pounds or less, you can usually wear a low-cut shoe for hiking. If you prefer more ankle support, you can also try a mid-cut shoe that rises a bit above the ankle. 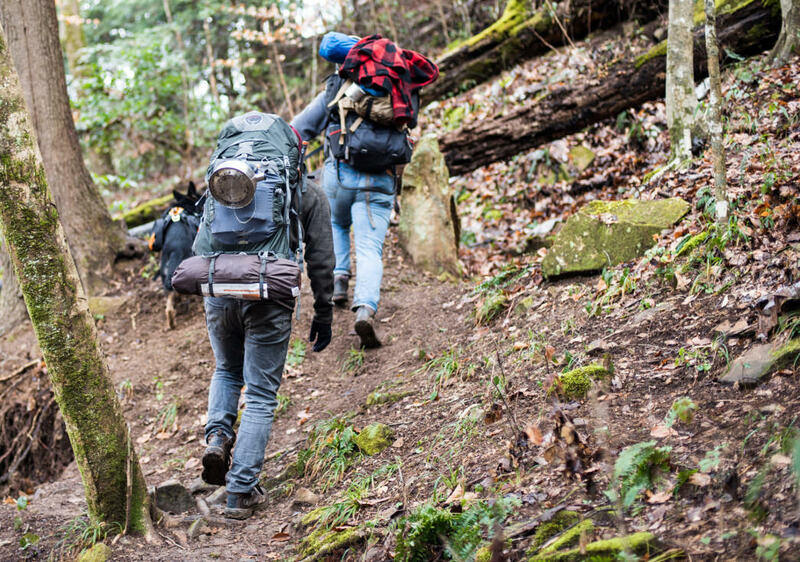 But, most backpackers carrying more than 30 pounds need a full boot, because it will offer the rigidity and midsole structure needed to bear a heavy load. Keep in mind that some low-cut shoes provide more support and traction than others. Talk with a salesperson or do research online to determine whether shoes offer a decent support system for your feet. If you try on shoes in a store, take time to stroll around for several minutes to get a feel for any potential trouble areas. Also, some stores will have a small ramp you can walk on to see whether your foot slides forward while descending or your heel rises while ascending. If the store has a ramp, stand on it with your toes pointed downhill and stomp your feet as you walk down. If your toes don’t hit the end of the boots, you’re most likely good to go. Many companies outfit shoes with flimsy insoles that provide little support. Consider purchasing high-quality insoles from companies such as Superfeet and Sole. These will not only provide superior support, but they can also improve the fit of a shoe that has slightly more volume than you need. Be aware that insole brands carry different models of varying volumes to fit specific types of footwear. Want happy feet? You need the right socks as well as the right shoes. Avoid cotton socks, because they retain moisture and cause blisters. Instead, choose a merino wool sock or synthetic sock that will wick moisture from your feet. Also, remember that you can fine-tune the fit of a shoe by using socks to occupy space. 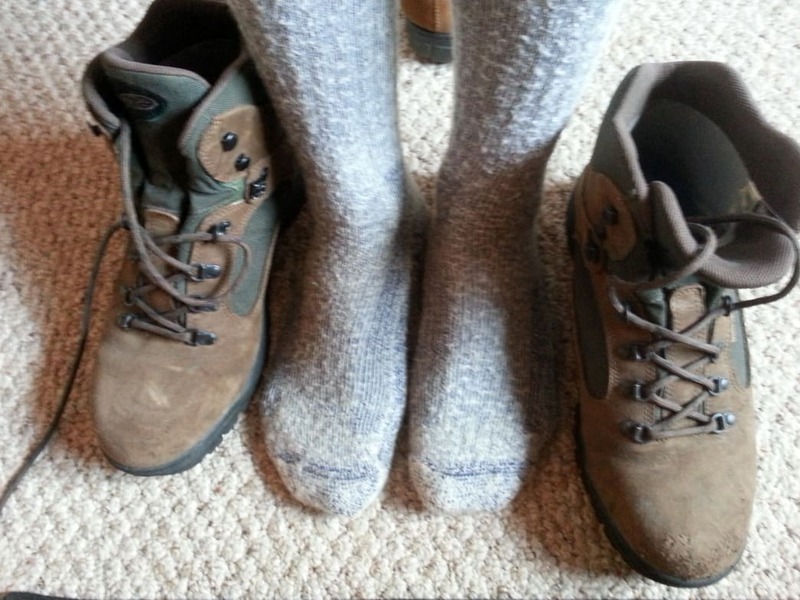 Because socks are available in many different thicknesses, it’s important to try on shoes with the socks you’ll actually use while hiking. Many hiking boots these days require very little break-in time, but companies still offer burly styles with relatively stiff leather for backpackers who will carry heavy loads. If you need heavy-duty boots, buy them weeks in advance of your trek so you’ll have time to break them in. This will help prevent blisters on the trail. To break in the boots, begin with brief hikes and work up to wearing them for long periods of time.